Cherilyn Sarkisian was born today, May 20, in 1946. 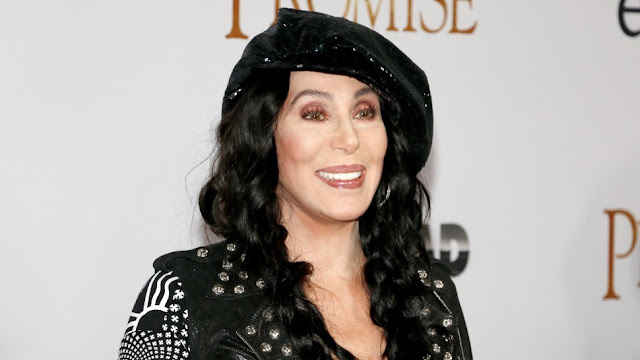 She is an American singer and actress better known as Cher. Sometimes called the Goddess of Pop, she is known for her distinctive contralto singing voice and for having worked in numerous areas of entertainment, as well as adopting a variety of styles and appearances during her six-decade-long career. Cher gained popularity in 1965 as one-half of the folk rock husband-wife duo Sonny & Cher after their song "I Got You Babe" reached number one on the American and British charts. By the end of 1967, they had sold 40 million records worldwide and had become, according to Time magazine, rock's "it" couple. She began her solo career simultaneously, releasing in 1966 her first million-seller song, "Bang Bang (My Baby Shot Me Down)." She became a television personality in the 1970s with her shows The Sonny & Cher Comedy Hour, watched by more than 30 million viewers weekly during its 3-year run, and her subsequent show, Cher. She emerged as a fashion trendsetter by wearing elaborate outfits on her television shows. While working on television, Cher established herself as a solo artist with the U.S. Billboard Hot 100 chart-topping singles "Gypsys, Tramps & Thieves," "Half-Breed," and "Dark Lady." 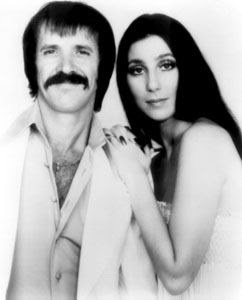 After her divorce from Sonny Bono in 1975, she launched a comeback in 1979 with the disco album Take Me Home and earned $300,000 a week for her 1980–82 concert residency in Las Vegas. In 1982, Cher made her Broadway debut in the play Come Back to the Five and Dime, Jimmy Dean, Jimmy Dean and starred in its film adaptation. 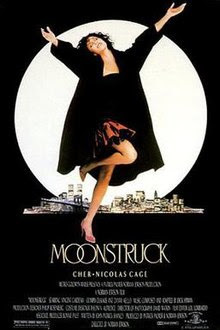 She subsequently earned critical acclaim for her performances in films such as Silkwood (1983), Mask (1985), and Moonstruck (1987), for which she won the Academy Award for Best Actress. She then revived her musical career by recording the rock-inflected albums Cher (1987), Heart of Stone (1989), and Love Hurts (1991), all of which yielded several successful singles. Cher reached a new commercial peak in 1998 with the album Believe, whose title track became the biggest-selling single of all time by a female artist in the UK. It features the pioneering use of Auto-Tune, also known as the "Cher effect." Her 2002–2005 Living Proof: The Farewell Tour became one of the highest-grossing concert tours of all time, earning $250 million. In 2008, she signed a $180 million deal to headline the Colosseum at Caesars Palace in Las Vegas for three years. Cher's first studio album in 12 years, Closer to the Truth (2013), became her highest-charting solo album in the U.S. when it debuted at number three on the Billboard 200. In 2018, Cher will return to film for her first on-screen role since 2010's Burlesque, starring in the romantic musical comedy film Mamma Mia! Here We Go Again. She is also set to embark on the Australia-only Here We Go Again Tour, which is her first tour in the country in 13 years. Cher has won a Grammy Award, an Emmy Award, an Academy Award, three Golden Globe Awards, a Cannes Film Festival Award, and a special CFDA Fashion Award, among several other honors. She has sold 100 million records worldwide to date, becoming one of the best-selling music artistsin history. She is the only artist to date to have a number-one single on a Billboard chart in each decade from the 1960s to the 2010s. Outside of her music and acting, she is noted for her political views, philanthropic endeavors, and social activism, including LGBT rights and HIV/AIDS prevention. Cher's older child, Chaz Bono (born Chastity Bono), first came out as a lesbian at age 17, which reportedly caused Cher to feel "guilt, fear and pain." However, she soon came to accept Chaz's sexual orientation, and came to the conclusion that LGBT people "didn't have the same rights as everyone else, [and she] thought that was unfair." She was the keynote speaker for the 1997 national Parents, Families, & Friends of Lesbians and Gays (PFLAG) convention, and has since become one of the LGBT community's most vocal advocates. In May 1998, she received the GLAAD Vanguard Award for having "made a significant difference in promoting equal rights for lesbians and gay men." She recently headlined Sydney’s Gay and Lesbian Mardi Gras. Gay icon to the maximum! Happy birthday Cher!